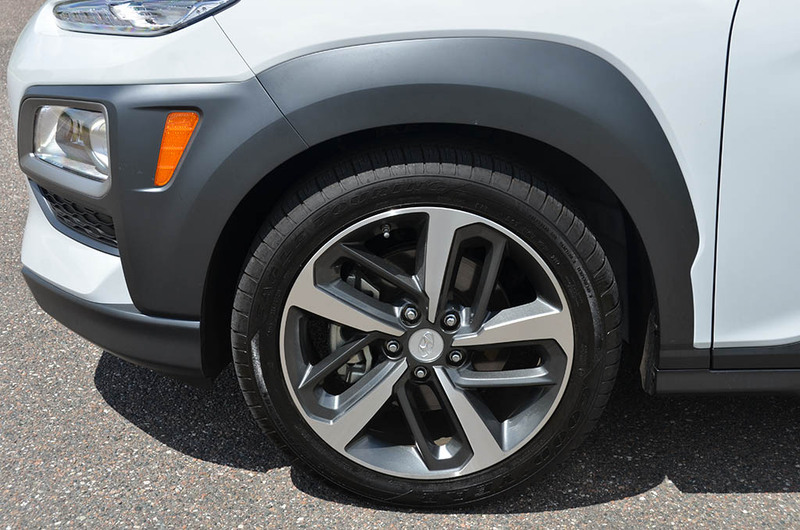 When it comes to today’s automotive climate, there is an apparent evolution in what Americans seek for their next automobile choice, and it has advanced to be more on the side of SUVs and crossovers over coupes and sedans. 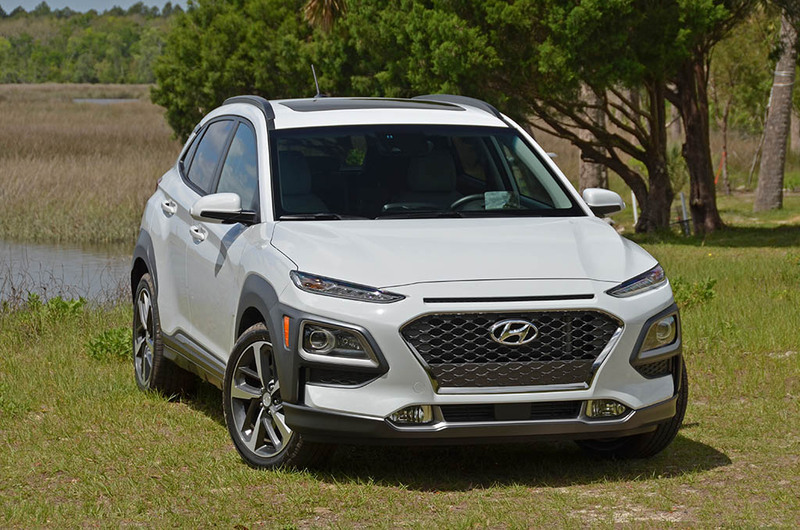 With such a notion, Hyundai has positioned themselves to ride the evolution wave with the introduction of an all-new subcompact crossover, the Kona. 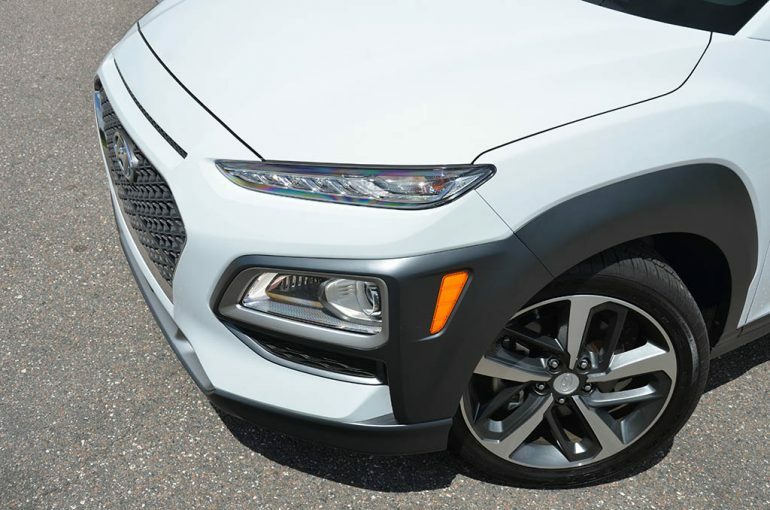 The all-new 2018 Hyundai Kona embodies a simple formula but wraps it up in an eye-catching skin that looks to be more tailored for millennials over other demographics. 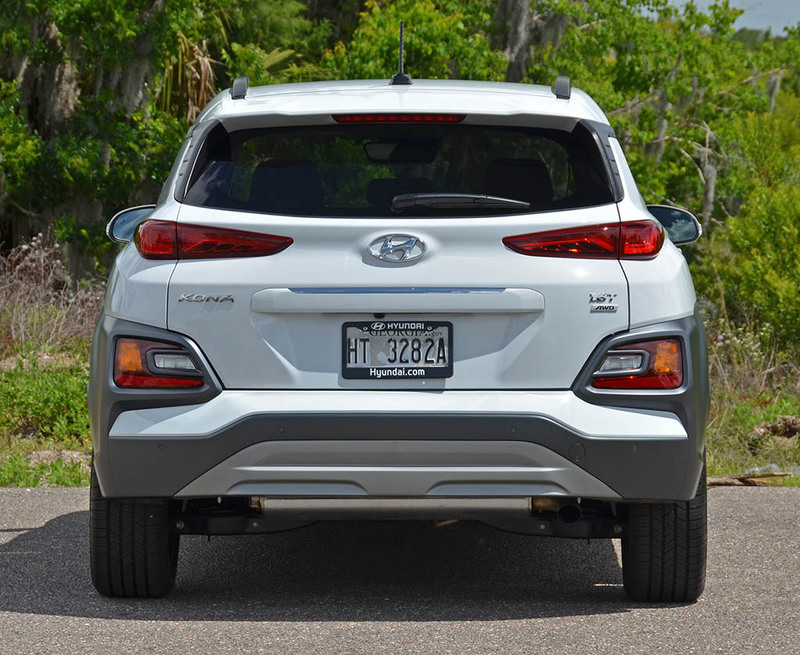 While the in-your-face styling is well played on the exterior of the new Kona, on the inside the principles of a simple mode of transportation thrive but without taking away from the core functionality, mild versatility in a crossover form, and tech advancements that the masses want. 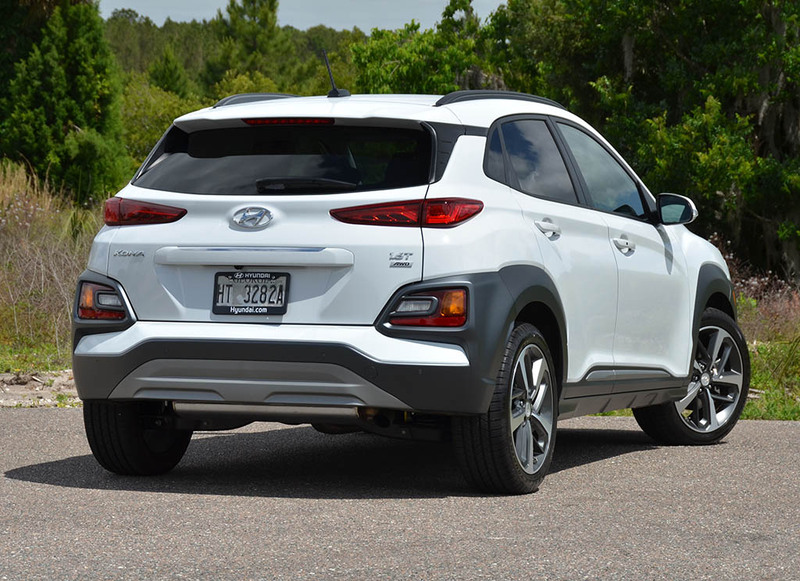 Available in a total of four trim levels, the new Kona welcomes many walks of life with a starting price of $19,000 for the base SE trim. 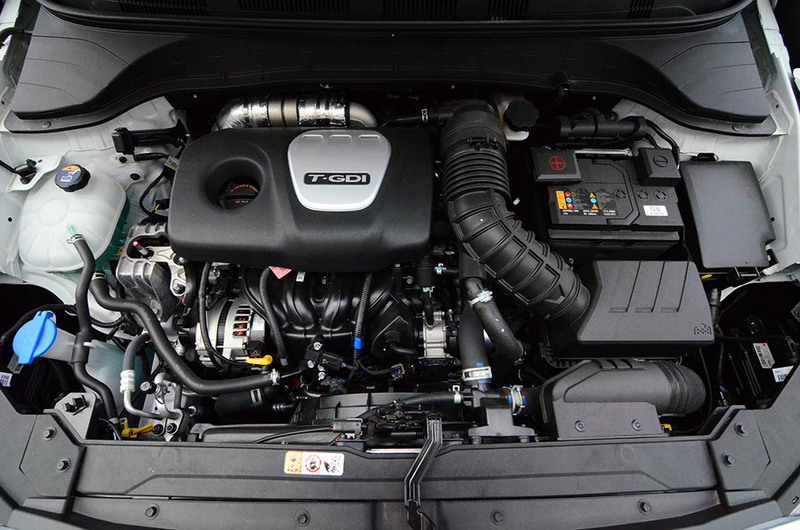 From there, the availability of the SEL trim completes the smaller engine offering, a 2.0-liter naturally-aspirated 4-cylinder engine good for 147 horsepower and 132 lb-ft of torque. Moving to the Limited trim the Kona gets a welcomed turbocharged 1.6-liter 4-cylinder with a respectable 175 horsepower and 195 lb-ft of torque. Opting for the Limited or top-level Ultimate trim of my test vehicle is the best option in my opinion as the performance of the turbocharged engine is zippy and keeps things moving with authority even when you pile in extra passengers. In the performance arena, the new Kona was surprising to me with a compliant ride, decent handling, and good acceleration in the turbocharged flavor. 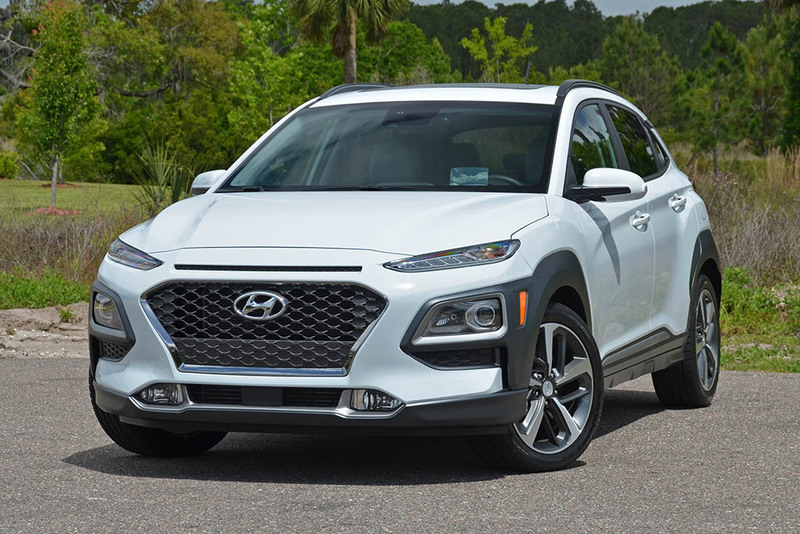 The 1.6-liter turbocharged engine, a reworked unit derived from older Hyundai offerings, gets mated to a 7-speed automated dual-clutch while the base trims are left to a 6-speed automatic transmission. 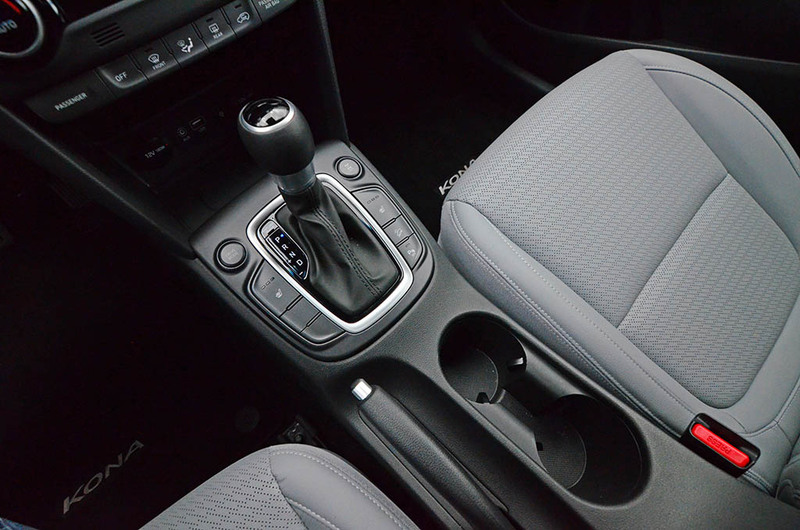 The automated dual-clutch transmission combines a direct connection from the engine for better fuel economy and overall performance without sapping the sporty feeling by avoiding a traditional automatic’s torque converter or a CVT unit’s rubber band thrust. Together, the engine and dual-clutch transmission work mostly seamlessly to land in the proper gear on most occasions. The only downfall is the transmissions clunky feeling at low speeds or when creeping along in traffic. The transmission chatters somewhat and is often slow to fully engage permitting clutch slipping and an unwanted increase in engine speed without moving much. I would think such issues could be polished with software updates at a later time. Otherwise, the new Hyundai Kona is energetic enough to surprise you and make it easy to pass others on the highway. Not to mention, the all-wheel-drive system of my test vehicle prevented wheel spin and permitted nearly full throttle take-offs with the wheels turned without any unwanted drama. 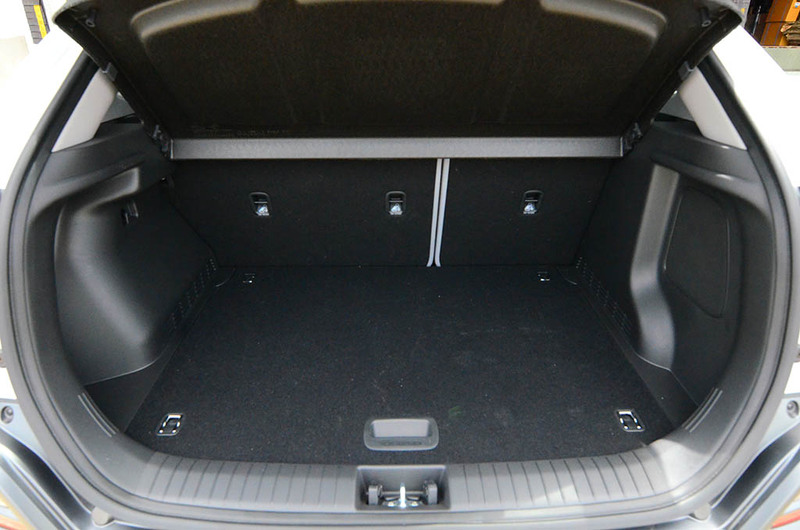 Lateral handling is pretty good for a tall statured vehicle, which is yet another welcomed characteristic of the lively performance of the Kona. Fuel economy for the Kona Ultimate all-wheel-drive was mostly consistent during my week with the new subcompact crossover. My worst fuel economy figure was 25.6 mpg while in the Sport drive mode, which is one of two drive modes (normal, sport). Sport mode often kept the transmission out of 7th gear and made all of the turbocharged engine’s torque readily available without hunting for a higher gear as it already had one picked out for the current speed. On the highway, I saw as much as 31 mpg cruising at a steady 65 mph. The EPA rates the new Kona Ultimate AWD at 26 mpg city, 29 mpg highway, and 27 mpg combined. 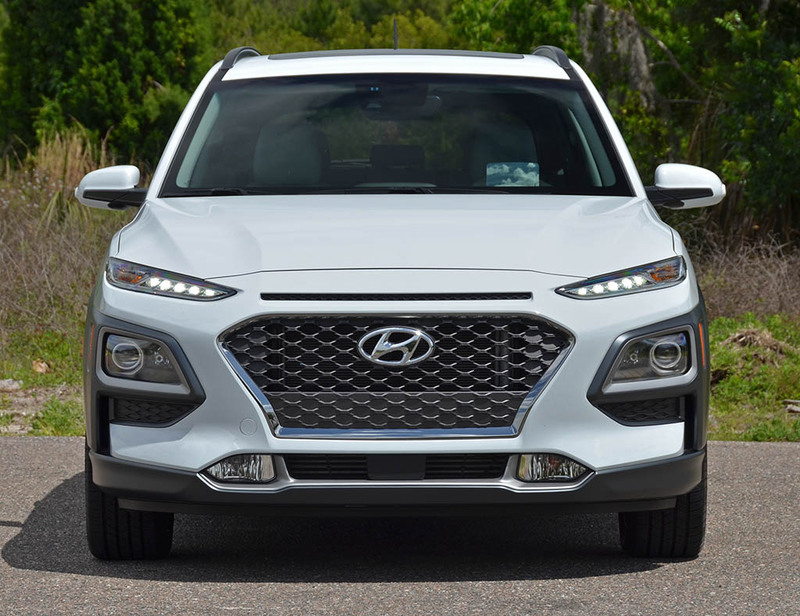 Hyundai’s approach to the automotive market has evolved just as the automotive industry has with its attention heavily placed on trucks, crossovers, and SUVs. 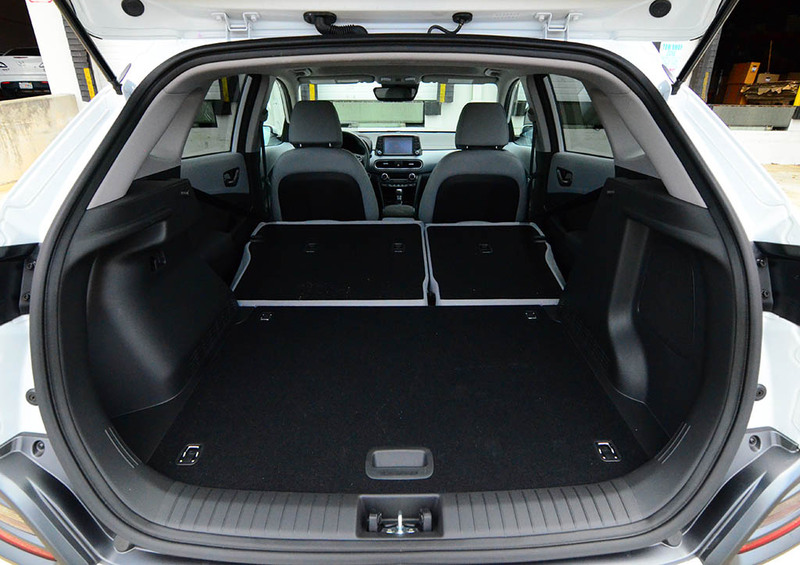 With its crossover versatility, there is a lot to like in what the Kona has to offer. The interior punches slightly above its weight with a perceived high level of quality and fit and finish. 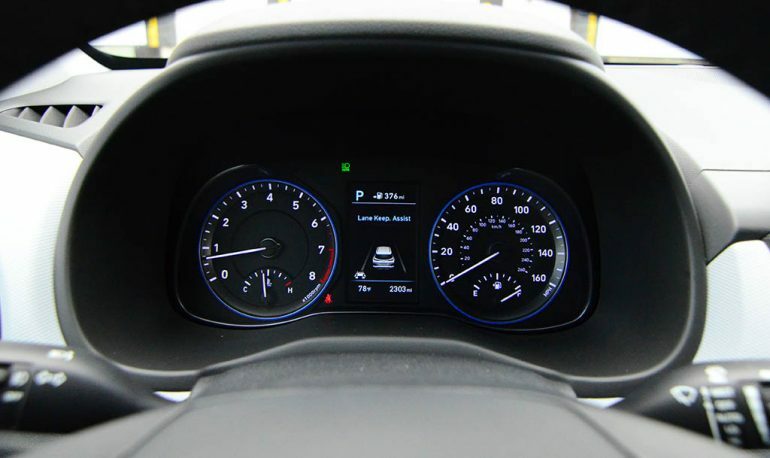 While there aren’t many soft-touch areas on the dashboard, Hyundai cleverly contrasts its plastics with the proper texturing and colors to make a trick play for a somewhat premium look. 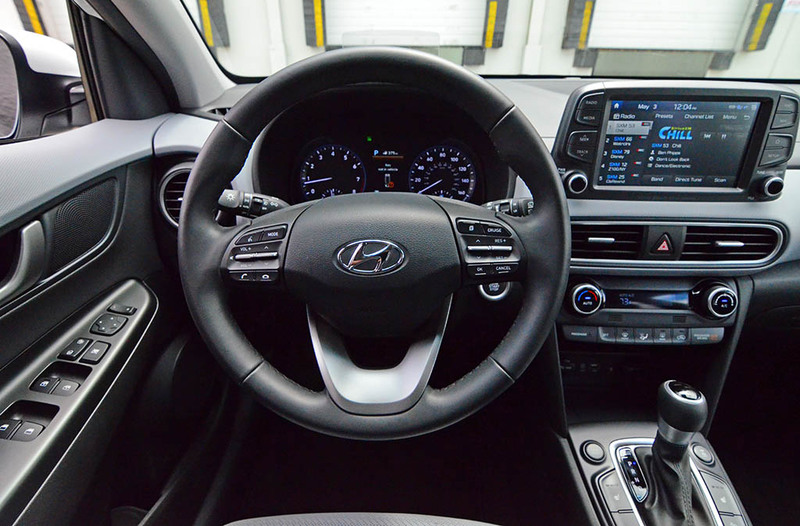 The controls and high-mounted infotainment touchscreen are all in the right place proving easy to reach. 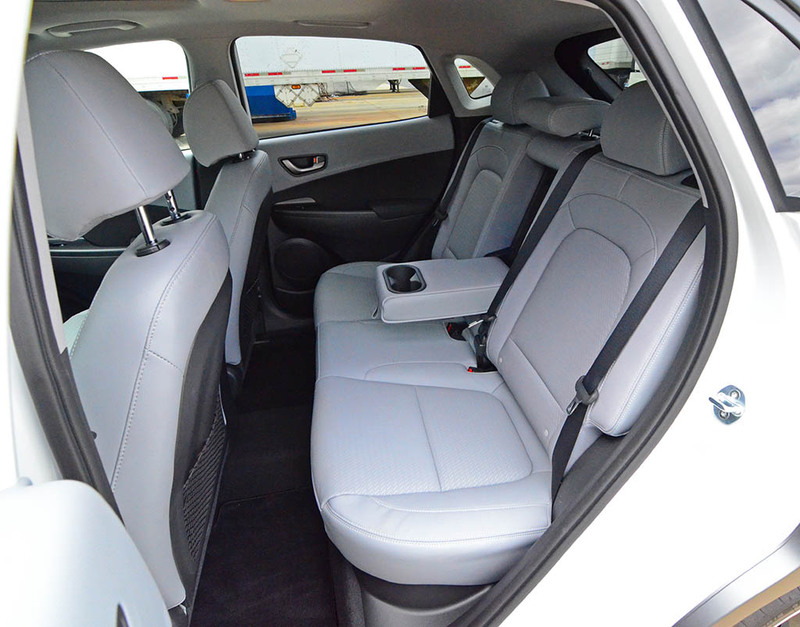 The seats are very comfortable and offer perforated leather surfaces, power driver’s seat, and front seat heating. 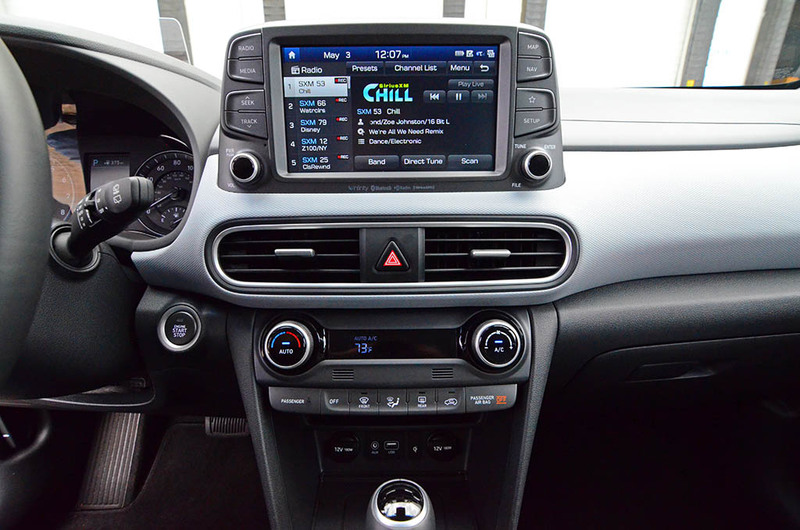 The latest Hyundai infotainment unit in the Kona combines the right amount of connectivity with Apple CarPlay, Android Auto, a user-friendly touchscreen interface, and the expected Bluetooth and USB connections. 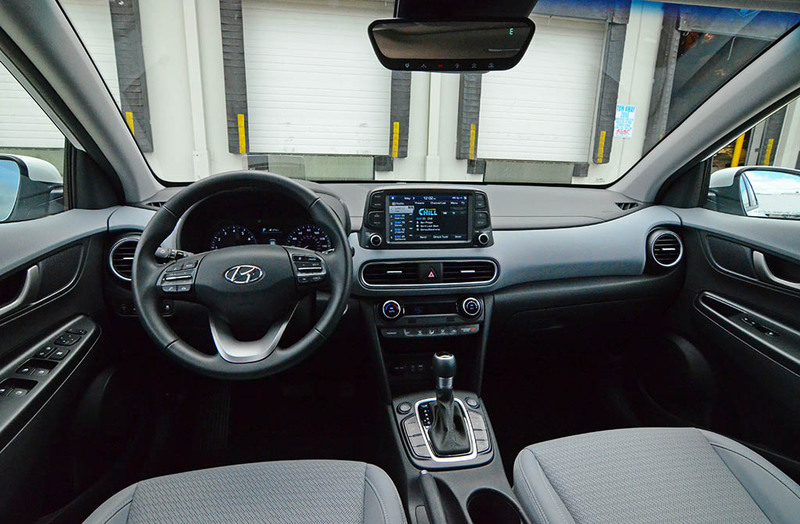 To add to the formula, the Kona Unlimited trim gets a few more goodies on top of the Limited trim’s decent list of amenities, such as wireless phone charging, a larger center information screen in the gauge cluster, color heads-up display, an 8-inch infotainment screen over the standard 7-inch, and Hyundai’s Blue Link telematics system with crash response, connected care, and remote package that allows you to use a mobile app for unlocking/locking and other vehicle functions. Apart from the Kona Ultimate’s added features over the Limited trim, the Ultimate trim gets the notable features of automatic LED headlights, fog lights, automatic temperature control, proximity key entry with push-button start, auto-dimming review mirror, backup camera, blind-spot monitor with collision warning, lane keep assist, lane change assist, forward collision-avoidance with pedestrian detection, and a power tilt-and-slide sunroof. 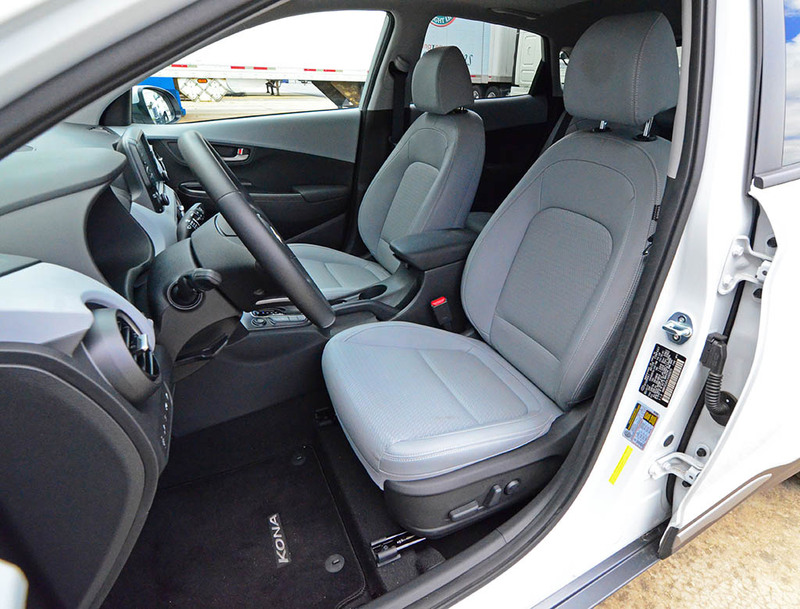 Many of the active safety features can be bundled with the lower trim levels as can a few of the more desirable options, such as the power sunroof and the all-wheel-drive system. Being that crossover vehicles are all the new rave these days, the Hyundai Kona is a welcomed addition that adds a new level of affordability to the spectrum without sacrificing much in a small subcompact package. 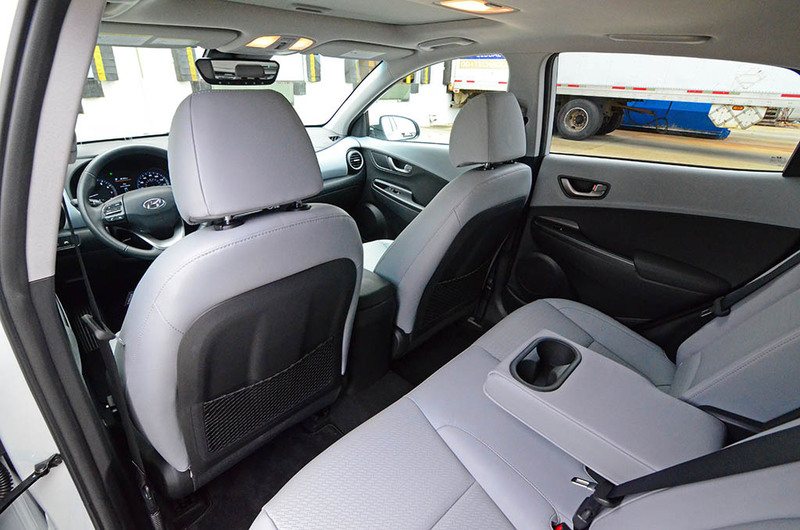 While the space in the cargo area is small, the seating areas are surprisingly accommodating with more than enough room up front for those slightly over 6-feet tall. Out back, despite being short on legroom, there is enough space for two adults and one child. Where the all-new 2018 Hyundai Kona will likely shine is its entry-level pricing. Though, moving all the way to the Ultimate trim level and all-wheel-drive equipment, the Kona will demand the as-tested price of $29,775. At the nearly $30K price tag, the Kona Ultimate AWD is somewhat of a hard pill to swallow considering its subcompact status and despite its long list of features. The Limited trim may suffice to meet buyers with a better price point and still get the better engine and a decent list of options.